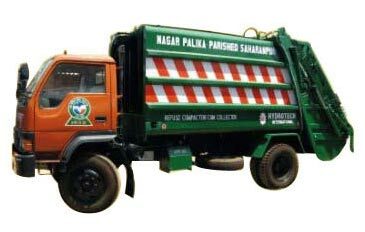 Our range of Refuse Compactor Truck is an exclusive and cost effective system for handling garbage. The Refuse Compactor Truck combines the features of self-loading and self-discharging thus making it a machine of extraordinary service. It has the capability to collect garbage up to maximum volume of 16cum. The equipment draws power from the engine through the PTO-unit. Refuse Compactor Truck is obtainable from us at rock bottom prices.